It happened! I finally found out about a restaurant that serves legit boozy shakes! 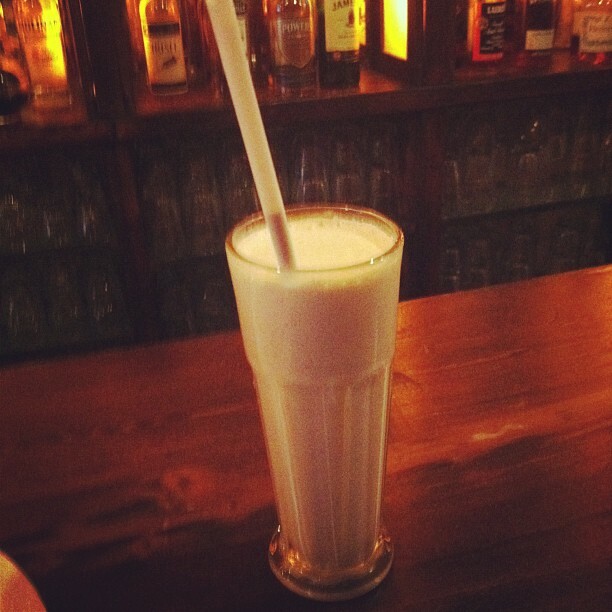 I think the idea of a boozy shake is genius– a milkshake with booze? Can you say heaven? Before the holiday’s two of my best friends came up to visit me and to go to the city for the day. As I mentioned in my previous posts I’ve become quite the “bruncher” so we decided to go to brunch while we were in the city. I was invited to go try Sidewalk Cafe located on Avenue A in Alphabet City in East Village so we decided to try it. We opted to sit by the bar since there was room and each started off by ordering a boozy shake and an entree off the brunch menu. I got the White Russian shake which was huge, delicious and boozy. My friend’s Katie & Sam each got the S’Mores and loved it. I don’t think I’ve ever seen them drink a shake so quickly! The brunch menu at Sidewalk Cafe is pretty interesting but I got the buttermilk pancakes with blueberries since I had a random craving (note: I’m not a huge pancake eater). 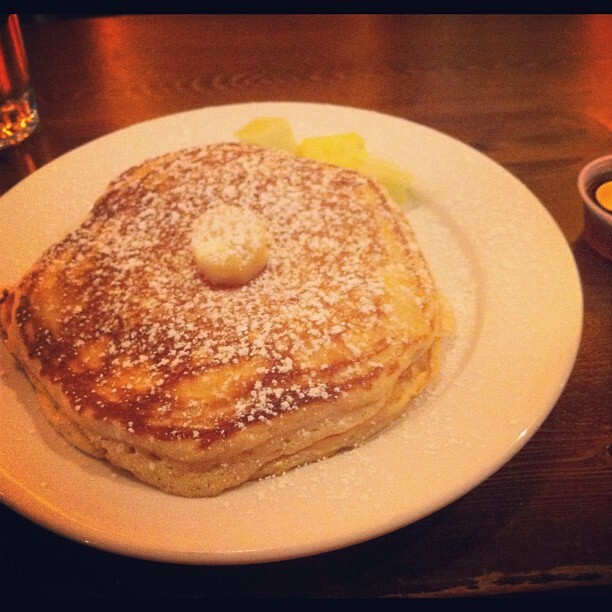 My pancakes were huge and I was astonished I ate about half of what was on my plate. My friend Katie opted for one of the breakfast melts and Sam got the french toast. They both enjoyed their entrees as much as I did mine. For brunch in New York the menu is pretty decent priced, take a look at it, here. The boozy shakes are also totally worth the $9! So next time you are in the East Village looking for a boozy shake and to stuff your face, take a trip to Sidewalk Cafe! This entry was posted in brunch, deals, East Village, New York, New York City, Sara Monica, SCBD, Small Chick Big Deals, yummy and tagged brunch, deal, east village, nyc, scbd, sidewalk cafe, small chick big deals by smallchickbigdeals. Bookmark the permalink.